These realities are among the many reasons that basic criminal defense training is essential for those who consider LGBTQ DV work both a profession and a calling. While some people think that criminal defense and survivor rights lawyering are at odds, there are many similarities between these practice areas. 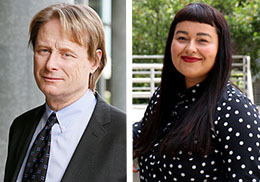 The skills that are shared by the best criminal defense attorneys are also shared by the best advocates in the DV area: the ability to listen, to withhold judgment as you acquire more facts, and to appreciate the frailty of your own perceptions, when confronted by people who are dealing with high levels of trauma. Also, the best criminal defense attorneys skillfully mediate between institutional actors, to ensure the best outcome for the people they serve. Focusing on these important professional and therapeutic goals can help DV attorneys move beyond some of the barriers that afflict LGBTQ survivors. One barrier that leads to devastating criminal legal consequences is the fallacy that domestic violence between LGBTQ people is “mutual combat.” Primary aggressor/survivor differentiation involves a careful analysis which includes the totality of the circumstances, so as to determine which person in the relationship is holding power and control over the other in an ongoing and systematic way. The belief that abuse is “mutual,” in too many cases, results in dangerous legal system actor results, including mutual arrest, wrongful arrest, mutual restraining orders, and wrongful convictions. Such legal responses re-victimize the survivor through the civil and criminal legal systems. LGBTQ survivors, in some cases, seek protection from the same systems that overly-criminalize LGBTQ people. LGBTQ people make up a disproportionate number of those who are incarcerated as compared to the overall population; LGBTQ people have a rate of incarceration that is three times higher than non-LGBTQ people (Incarceration Rates and Traits of Sexual Minorities in the United States: National Inmate Survey, The Williams Institute, UCLA School of Law, 2011–2012). More than 40% of women in prison are LGBTQ (Id). Once incarcerated, LGBTQ people face continued high levels of violence and higher rates of sanctions and solitary confinement (Id). Similarly, the courts are often ill-equipped to take into account the unique concerns of LGBTQ survivors in the criminal system. Again, criminal defense practitioners, who must treat all of their clients as individuals, can bring that habit of mind to the individualized representation of LGBTQ survivors. Defense attorneys, being outside those power structures, can provide some key lessons about the mechanics of that type of activism. Speaking truth to entrenched power structures is something criminal defense and survivor’s attorneys share. Accordingly, criminal defense expertise is an essential practice area for an LGBTQ survivor’s attorney. Yet, there is a devastating lack of LGBTQ-specific anti-violence legal resources nationally. Additionally, direct legal services programs often do not offer criminal defense representation due to funding and other limitations. There is an ever increasing need to address the complexities that exist when LGBTQ people experience violence. This increased understanding may help to overcome the pervasive reality that in too many case, victims are mislabeled as perpetrators and subsequently treated as such. One essential step toward continuing to build healthy communities is to recognize that we must always look at the broader context which informs how people experience and/or engage in physical violence. Many LGBTQ people fear accessing traditional systems and never will. For those who engage traditional systems or end up in traditional systems against their will, LGBTQ inclusivity is critical. But only a handful of attorneys in the country regularly practice at the intersection of LGBTQ anti-violence issues at a non-profit. The reality is that many legal system actors/providers want to provide better services to the LGBTQ community, but are limited in gaining the increased knowledge that they want due to few resources. For LGBTQ survivors who engage the criminal legal system, LGBTQ-informed criminal and survivor legal assistance is critical for the health and wellness of LGBTQ communities. However, it is not enough to increase direct resources; we must also change the systems our clients encounter. LGBTQ inclusive direct legal assistance must also occur in tandem with LGBTQ inclusive essential legal systems. This holistic direct service and systems change approach will help reduce the over-criminalization of LGBTQ people and LGBTQ survivors of domestic violence.